That last one being one of the most important, if not the most important if your aiming is to have sky-high testosterone levels. Studies have shown a good night’s sleep and raised T-levels have been closely linked , and not getting enough could slow your progress significantly. 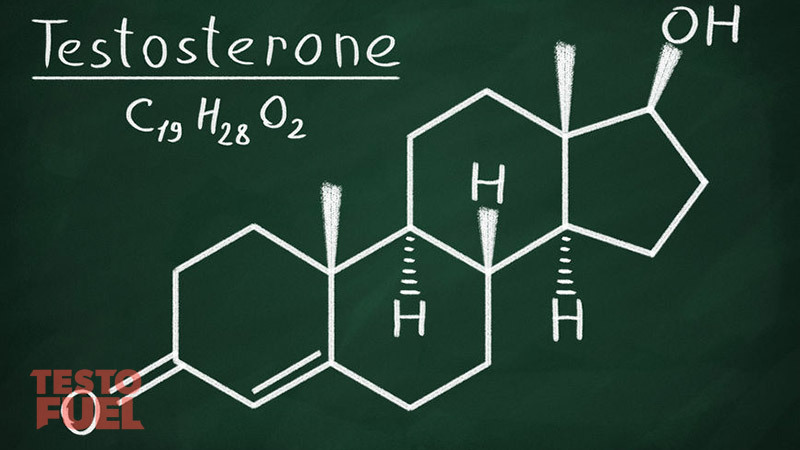 It’s estimated that your testosterone levels decrease by around 1% every year after you hit the mid 30’s. With this in mind you should be aiming to secure as higher levels as possible – and sleeping right is a good way to do this. Stage 1 – This involves the eye and muscle functions slowing down. Stage 2 – During this stage your eyes stop moving and your brain function slows down. Stage 3 – This is the first part of the deep sleep stage. Your brain begins to make ‘delta’ waves and it can be difficult to wake you up during this stage. This is when Human Growth Hormone and Testosterone are secreted and the real recovery starts. Stage 4 – This is the second part of the deep stage. This is the ‘dream’ part of the sleep cycle and the brain begins to create slower delta waves. This stage makes you feel revitalized and refreshed. Stage 5 – This is the rapid eye movement Stage of sleep, it should make up 25% of the total amount of your quality sleep. If your REM sleep is broken then your sleep cycle goes out of sync and your next night’s sleep begins within this Stage. The magic number is ‘8’ hours sleep, as it helps with testosterone production and overall growth. 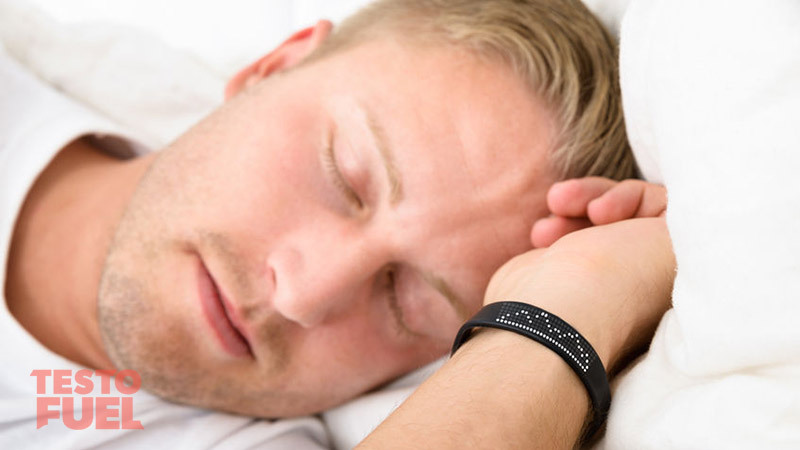 Research has indicated that 8 hours sleep does have a 60% higher increase in testosterone levels in healthy men when compared to those on 4 hours . Reduces your testosterone levels – this is a vicious cycle of low testosterone levels caused by lack of sleep and increased night awakenings. Try to sleep naked if possible – your testicles need to be cooler than your body temperature. This also helps to boost your testosterone levels. Don’t eat a heavy meal before you hit the sack – this can overload your digestive system, which affects your quality of sleep. Cherries are particularly high in with vitamins A, C and are packed with antioxidants. Eat a small handful of cherries before you go to sleep as they help to boost your sleepy hormone (melatonin) levels, this helps you to get a peaceful and uninterrupted sleep. Remember to eat them 2 hours before you hit the sack, this gives them enough time to digest properly and work their magic. How long did you sleep for? Did you fall asleep quickly? Did you feel fresh when you woke up? Compare the answers to these questions over the first week and you will start to see a pattern. It is important to sleep between the hours of 10 pm and 2 am, as this is the ultimate time for your ‘recovery’ hormones to come into play. You’ll wake up feeling refreshed and ready to hit the gym hard. Both ‘quality’ and ‘quantity’ of sleep can have an impact on your testosterone levels. If you want to get seriously jacked then aim for 8 hours per night of uninterrupted sleep. This is key to releasing the most testosterone overnight and ensuring that you continue to keep making gains in the gym. If you’re having problems with sleep, try one of our sleep improvement methods such as turning off screens with blue light, such as phones and laptops before you go to bed. Follow these steps and you’ll have that optimal hormonal environment in no time. If you’ve already got your diet, training and sleep on lockdown, there’s another way to get more out of your testosterone levels: TestoFuel. TestoFuel is a natural anabolic support complex that supplies your body with the extra nutrients your body needs to further boost your testosterone levels. If you’re looking for that added advantage both in the gym, and in your lifestyle, there is no better natural option.